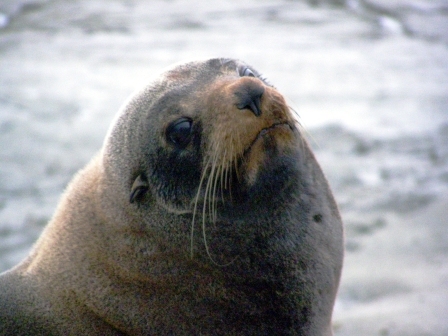 We took photos of seals, climbed over styles, and walked around the headland of the Kaikoura Peninsula. At the top we came across an eerie scene. In the early morning light we could see people ‘doing something’ and stopped to try to work it out. As we stood there, one of them came down. We’re told it was the Department of Conservation (DoC) and volunteers feeding baby birds sardine smoothies in their artificial nests. The Hutton’s Shearwater chicks had been translocated from their mountain colonies to this newly formed colony as security. Their two mountain colonies are at risk from wild pigs rooting through the area, predators killing young chicks, or an earthquake destroying their habitat. 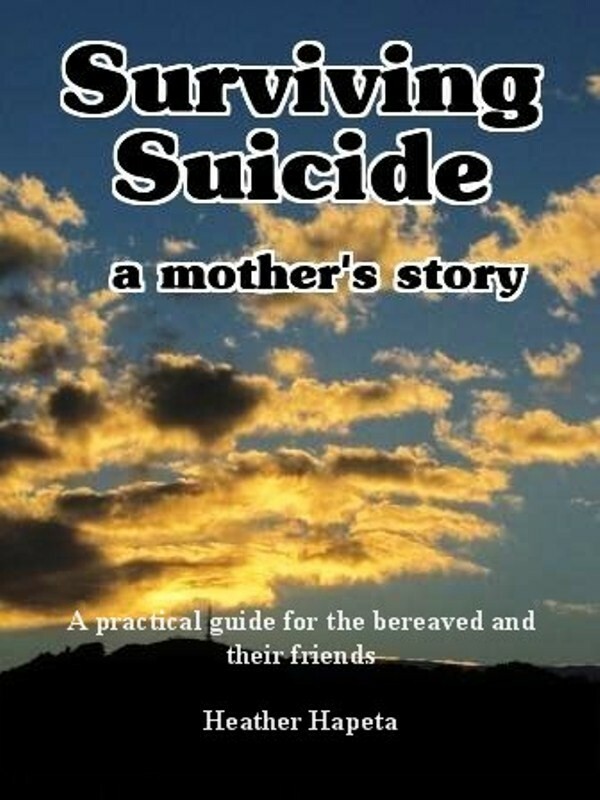 I later learn more. In the meantime my American friends are impressed that someone emerged from the mist to explain what was happening: some of the women decided they needed to move to New Zealand if the local DoC staff were so handsome and friendly! These 2005 photos are by Linda Werk. 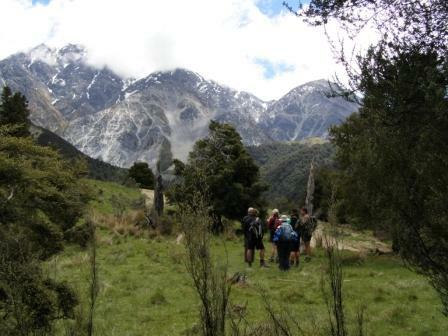 The Sierra Club members were hiking in New Zealand for a couple of weeks. 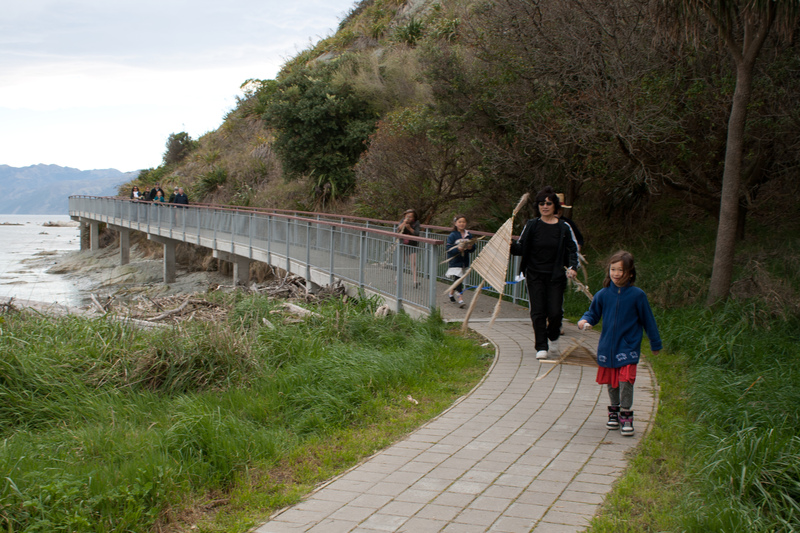 In April 2014 I was in Kaikoura for the weekend for Kaikoura Seabirds, Shearwaters, Science and Seaweek. As well as a photography workshop with Peter Langlands, lectures and presentations, I also returned to the translocated site to “Farewell the Hutton’s” as they left for their winter holiday – mostly off the coast of Western Australia. 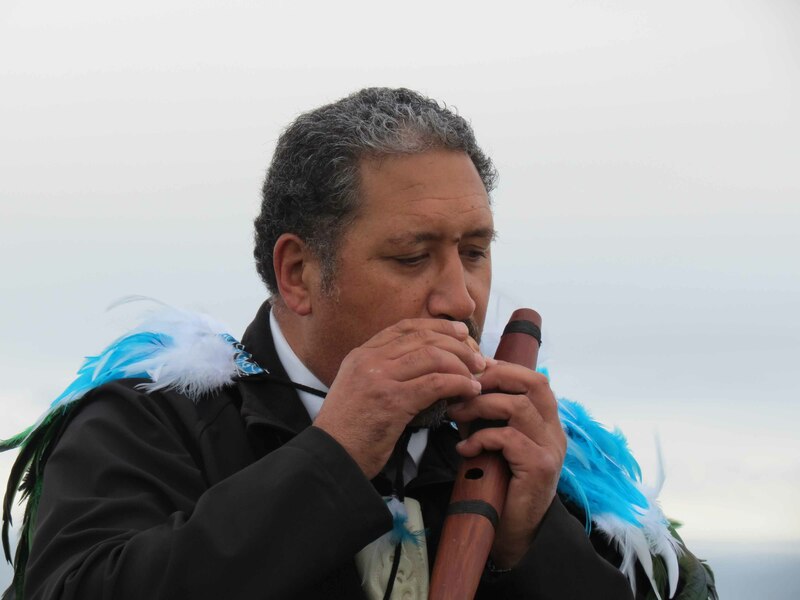 The ceremony required another early morning walk to the top of the peninsula where Brett Cowan (Takahanga Marae and DoC Kaikoura) led us through a moving event which concluded with us releasing feathers that had been gathered from the nests. He was wearing a new cloak made for DoC by a local PlayCentre woman. A predator fence and eradication project has been successful and a trust was been set up to help these birds survive. 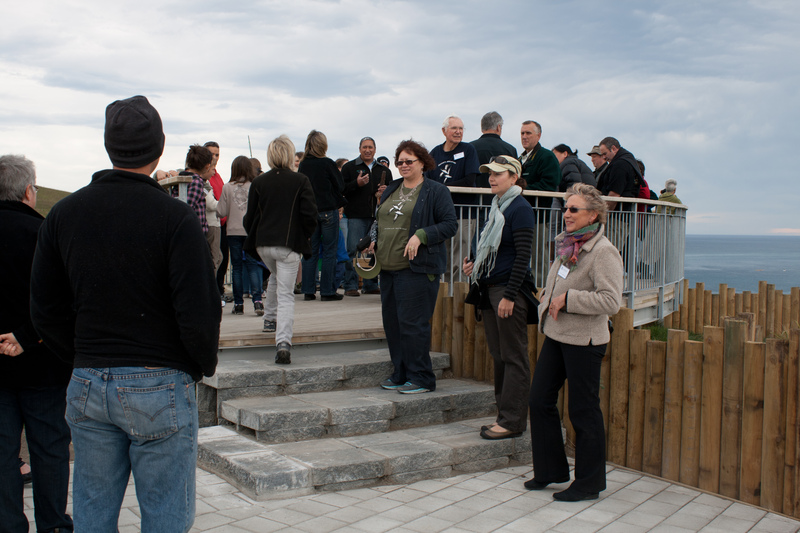 Nicky McArthur, who owns Shearwater Lodge and the land in the Valley of the Gods, where the second mountain colony is, is the driving force behind the trust and this event. See more and help save these endangered birds here. We also saw a short film about Geoff Harrow. 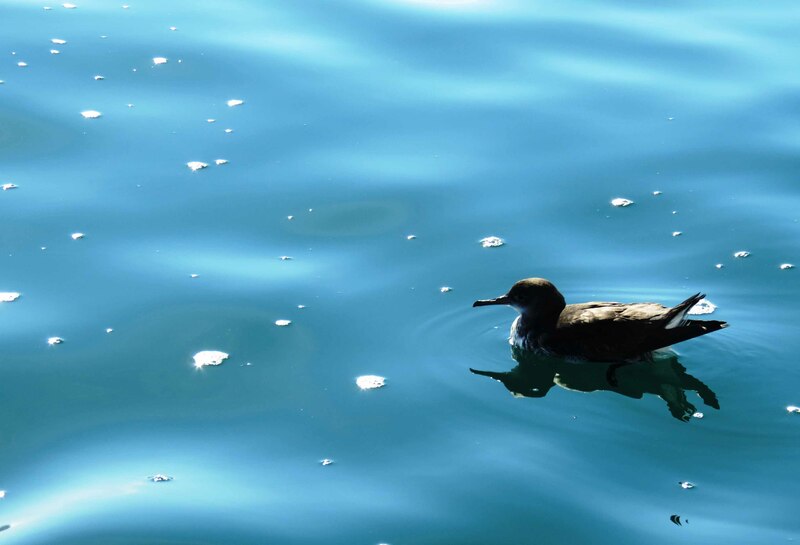 The Hutton’s shearwater/tītī were first described in 1912 but it was not until 1965 that their Seaward Kaikoura mountain breeding grounds were re-discovered by Harrow, an amateur Christchurch ornithologist and mountaineer. It was lovely to meet such a charming man, who at 88 is still full of life. I learn more: the adult birds’ travel about 20 kilometres to the Pacific Ocean, to eat fish and krill to feed to their young. 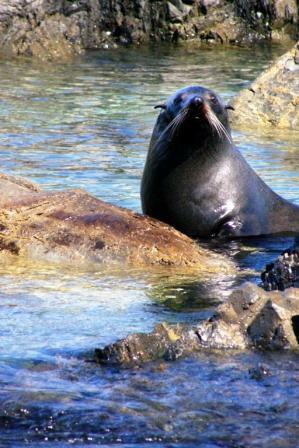 On their downhill flight they travel at up to 154 km/h, reaching the ocean in as little as seven minutes. 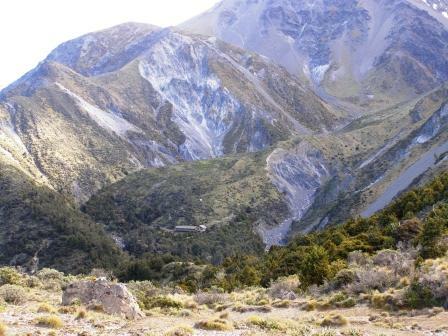 The return trip, 1200 metres uphill and with a full tummy, takes around 38 minutes. 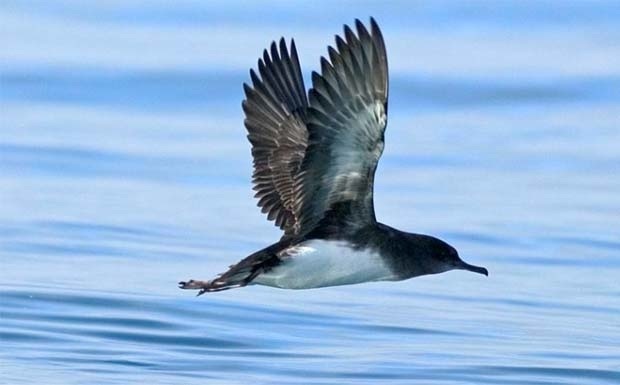 When the young fledge, in March and April, they then migrate to the fish-rich waters off the Australian coast. 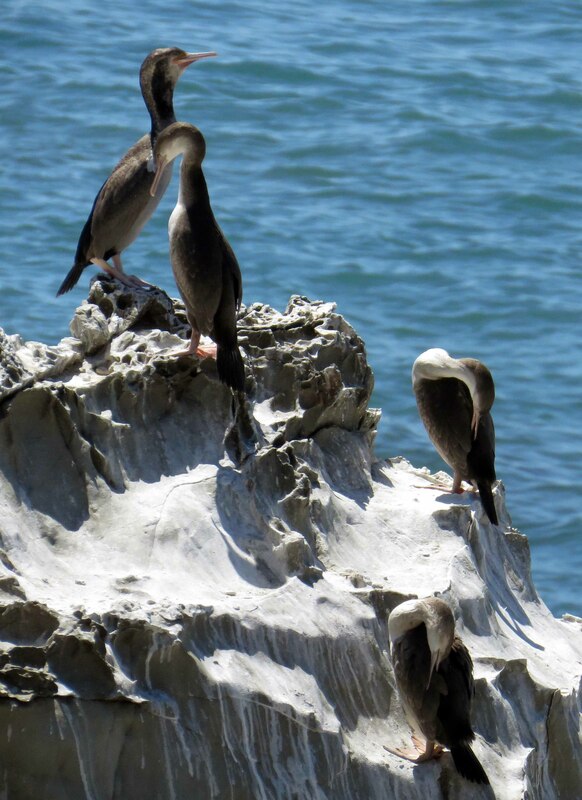 Young birds stay there for three or four years then return to Kaikoura to breed at five or six years old. 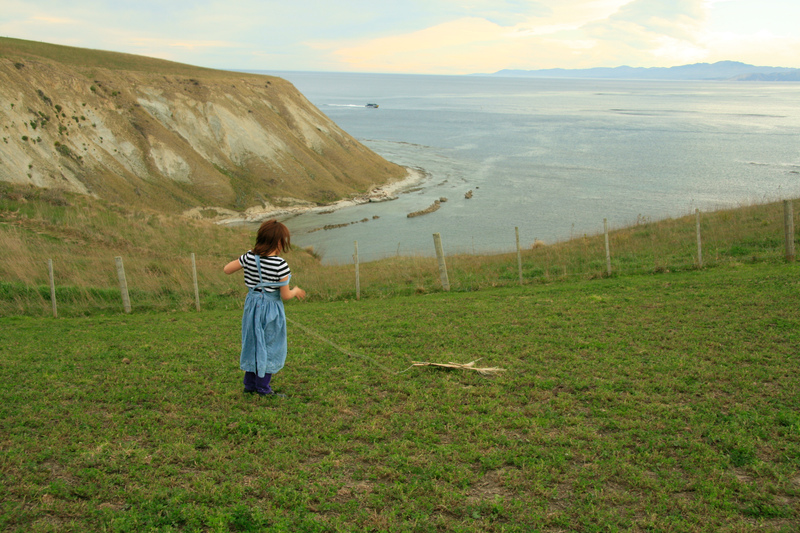 From late-March, some Hutton’s shearwater chicks flying from the mountain colonies for the first time crash onto the land around Kaikoura. It’s thought that these young birds become disoriented by fog and town lighting.As these birds cannot take off from land, they need help from the local community. 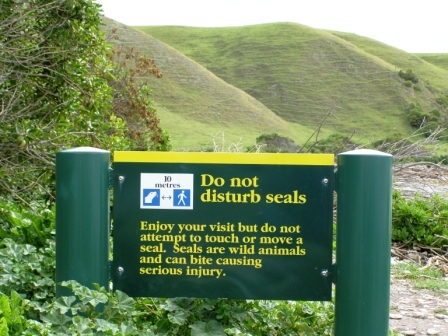 NOTE: The first record they have of a translocated bird returning to the peninsula colony was in December 2008. 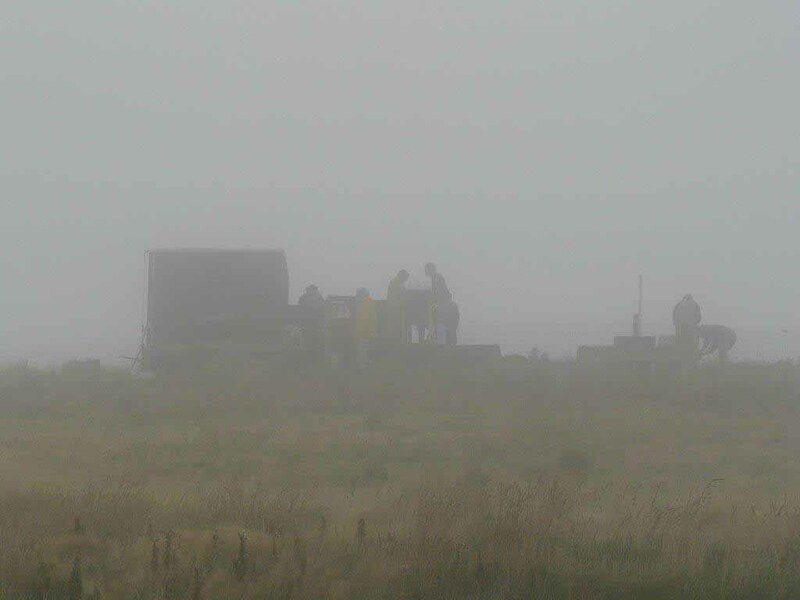 More birds returned in summer 2009-10 and in November 2010 the first egg was laid by one of the translocated chicks. The years since have increased the success rate. 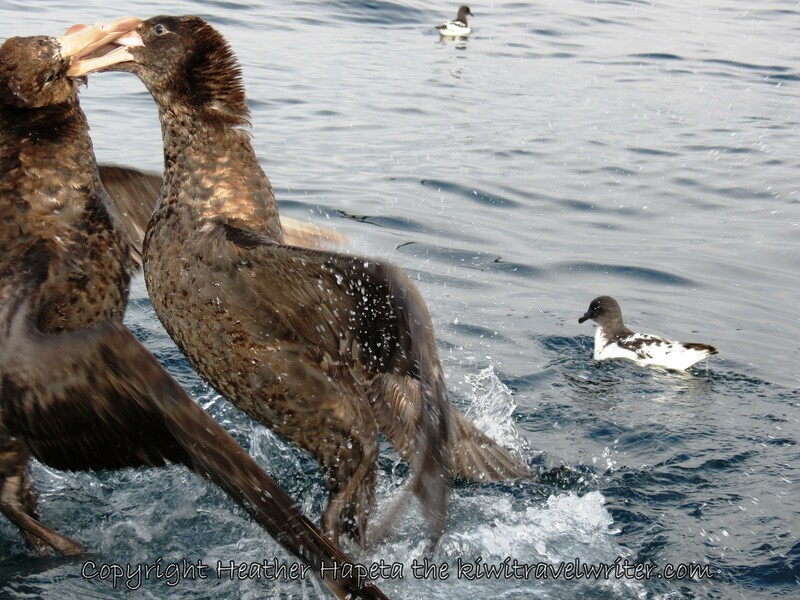 Birds fight over food near a fishing boat, Kaikoura, New Zealand. 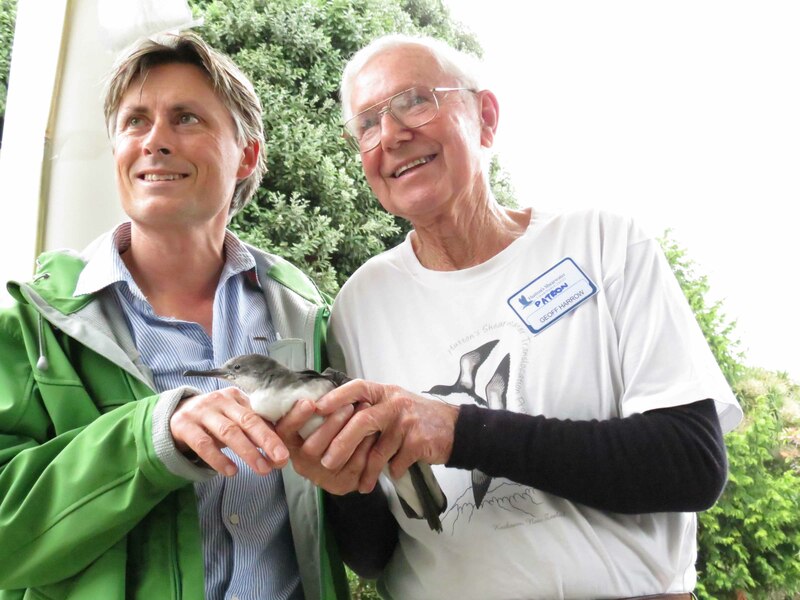 The Hutton’s Shearwater Charitable Trust are celebrating the Translocation of 102 Shearwater Chicks from the Kowhai Colony to the Peninsular Colony last week. This is extremely exciting for us as Trust and will greatly increase the long-term viability of the peninsular site. 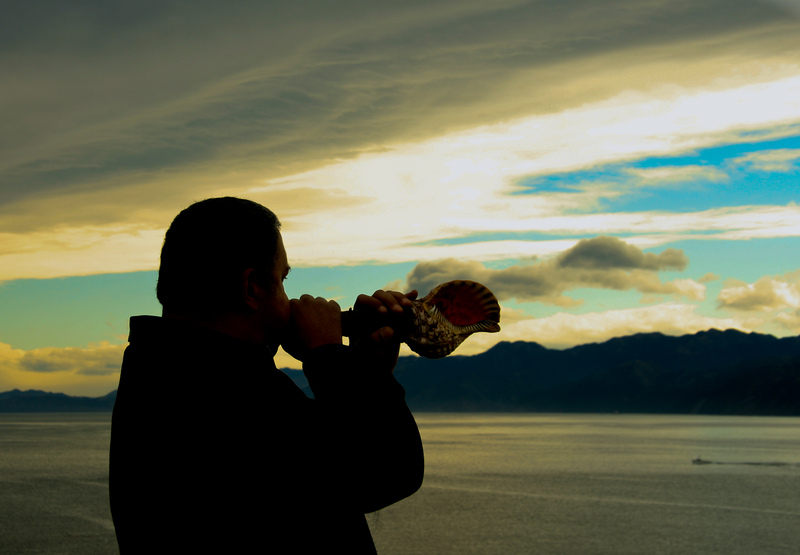 This is outstanding in both scientific terms and for Kaikoura as a community as ‘Kaikoura is their last place on Earth’ Nicky McArthur (Shearwater Lodge) invited me to the annual Farewell to the Hutton’s next weekend – daylight saving change weekend – Sunday 1st April 2012. (Note: the farewell and welcome are always on the change of daylight saving weekends) I can’t go but maybe you can! I’m happy to hear KiwiRail’s new scenic carriages have just entered service on the Coastal Pacific journey between Christchurch and Picton – and I hope to use them soon as the Coastal Pacific is a wonderful journey – maybe in April so I can travel from Picton to Kaikoura attend the annual Farewell to the Hutton’s shearwater as they head for Australia. 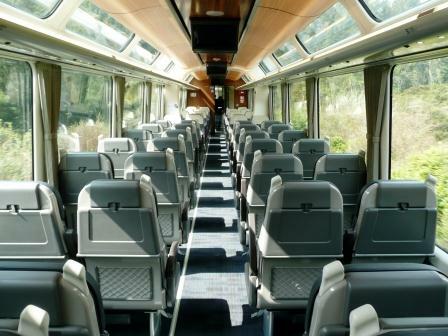 The new purpose-built (NZ built) scenic carriages have 52 square metres of glass in panoramic side and roof windows, ceiling mounted HD screens, and GPS triggered commentary in a choice of five languages. Dr Hume (KiwiRail’s General Manager Passenger Services) said she was very excited to be introducing the new carriages along with a new menu and new staff uniforms. “We want to ensure a totally unique experience for our passengers. Our focus with these new carriages is on providing a more modern, sophisticated customer experience that people will remember and return to” she said. “. The two new passenger carriages, the café car, the viewing car and refurbished luggage will be in service on the Coastal Pacific for the coming months, before being also introduced to the TranzAlpine next year. 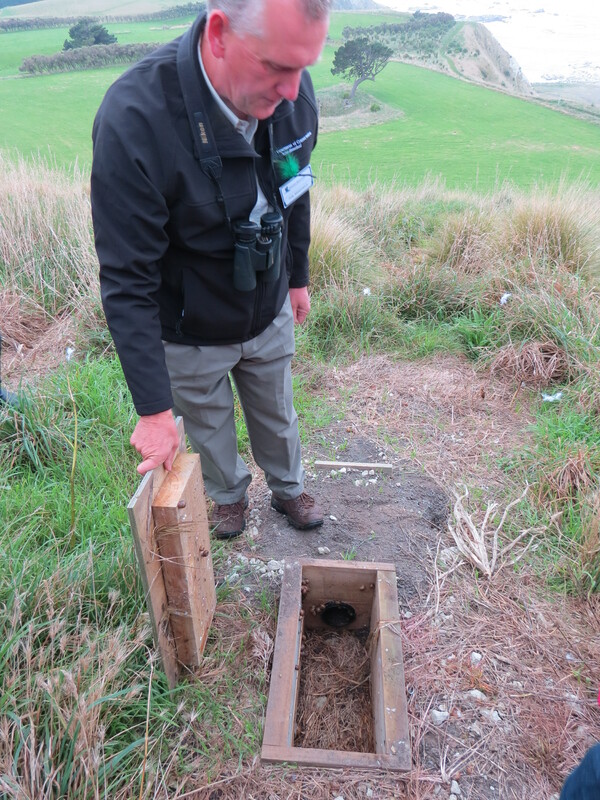 As I wrote a little while ago, I hate getting invites to events I can’t attend – it was about the welcome to the Hutton’s shearwater – back from their wintering over in Australia. That being so, my friend Nicky McArthur (Shearwater Lodge) has sent me some great photos she took of the annual Welcome to the Hutton’s so thought I’d share them with you. 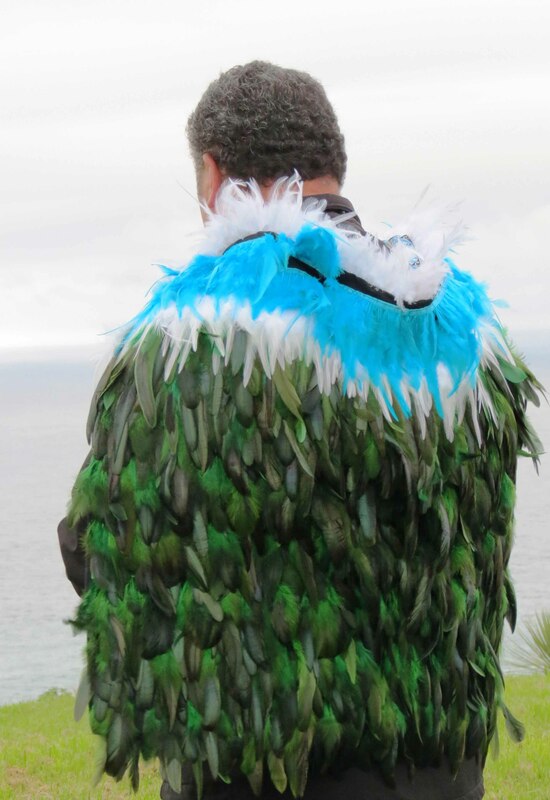 Nicky said of the photos: “They show Brett Cowan – welcoming the birds home; local children flying kites as part of the celebration; Hutton’s Trustees Phil Bradfield (DOC) and Teri Sonal (Whalewatch) – frying “Hutton’s” Hamburgers (beef!) to raise funds for HSCT! And. 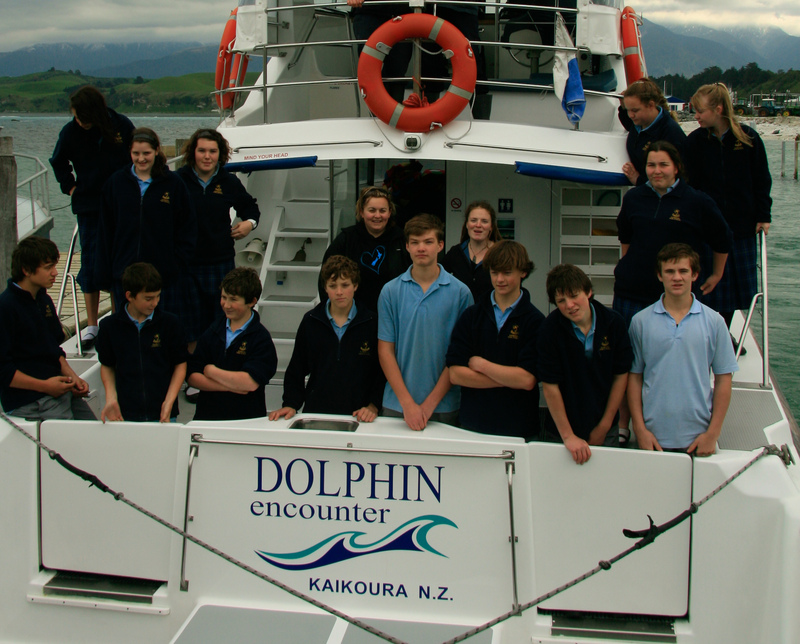 Year-9 children on Encounter Kaikoura boat – where they go to view the Hutton’s on the water at the end of their Term 3 education on Hutton’s”. 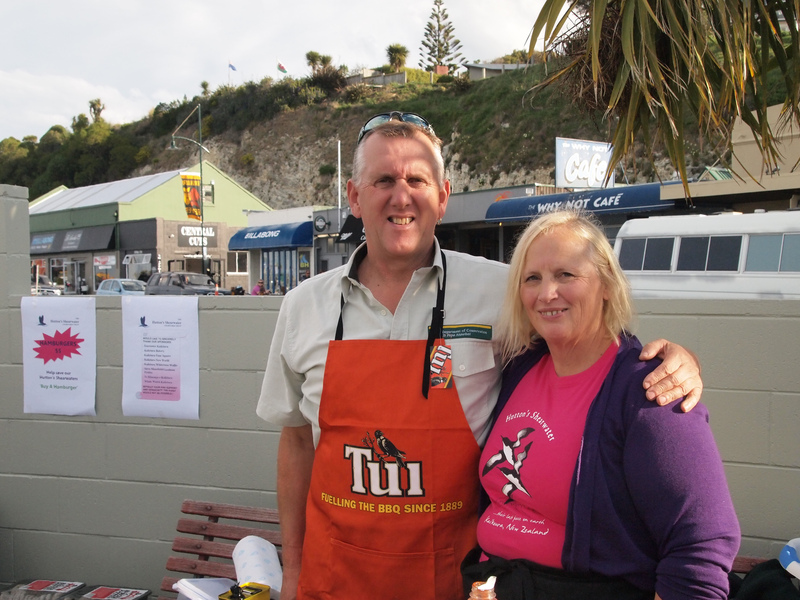 I hope to be there to say goodbye – sailing across the Cook Strait on the Kaitaki, then training from Picton to Kaikoura on the CoastalPacific where KiwiRail’s new scenic carriages are now in operation. I’ve been told the new carriages feature panoramic side and roof windows and new café cars. 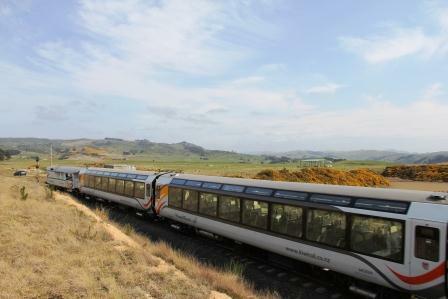 They are the first carriages to be entirely designed and built in New Zealand since the 1940s. I hate getting invites . . . to events I can’t get to! I hate getting invites to events that I can’t get to! 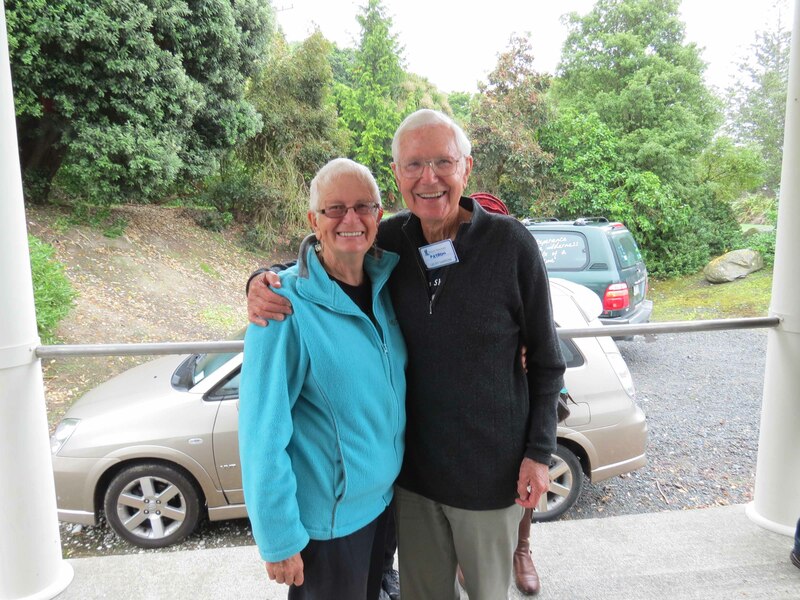 This next is for next weekend – the annual welcome home to the Hutton’s Shearwater – back from their adolescence in Australia, back to the home of their birth – Kaikoura, New Zealand. 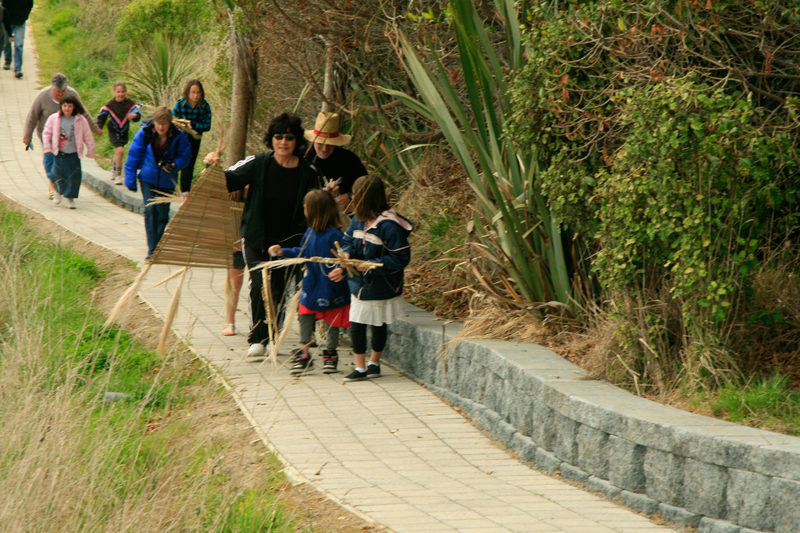 2:00pm – Meet us at South Bay Recreational Reserve to welcome the Huttonʼs home. See more here and stories I have written about the area and this bird including its home in the Valley of the Gods. 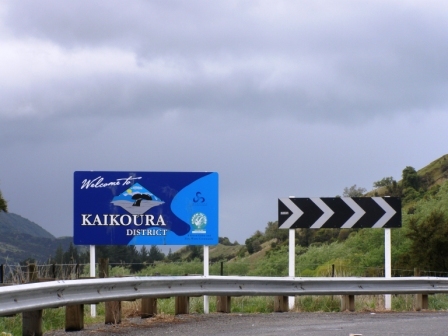 In this ‘blog4NZ’ let me remind you of a north Canterbury place that is well worth visiting while you’re in the Christchurch area: Kaikoura is top of most tourists bucket list for New Zealand, and these two places are well worth spending a night, or more, at. 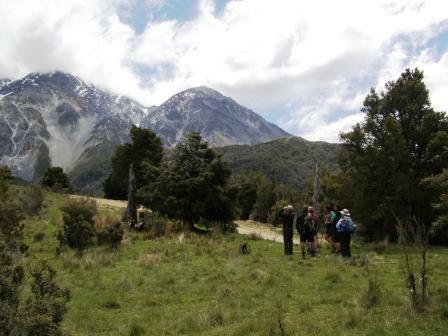 A boutique eco-hike, the guides tailor the day to the abilities of the walkers, stopping for photos, drinks and rests as needed. 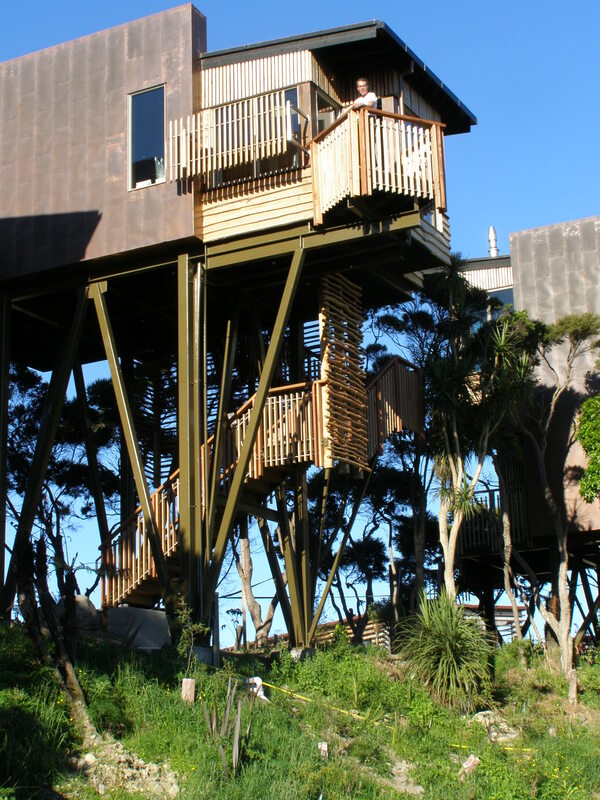 We watched and heard many birds, had superb views of the North Island and the Pacific Ocean, saw feral goats and deer, and, as well as stopping to admire and learn about various native trees. 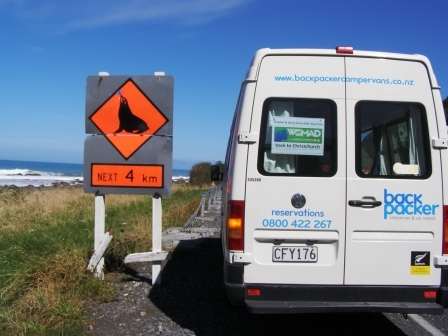 Our guide Lance said ‘this is the most picturesque place in Kaikoura’. 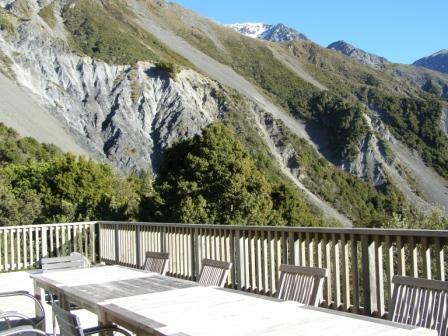 Another place to stay in Kaikoura is in a tree house: surrounded by deer, an olive grove, and nestled between the Kaikoura Seaward Mountains and the famed Mangamaunu Bay, Hapuku Lodge has it all. 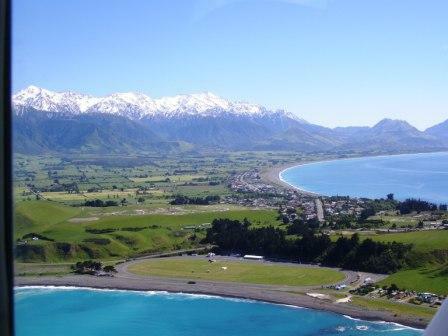 Kaikoura, number one of New Zealand’s eco-marine activities has many attractions – best of all, it’s only two hours north of Christchurch, I’ve stayed here many times in tents, motels, hostels, hotels, and caravans, as well as these two wonderful places.